I am loving this dynamic duo for skincare! 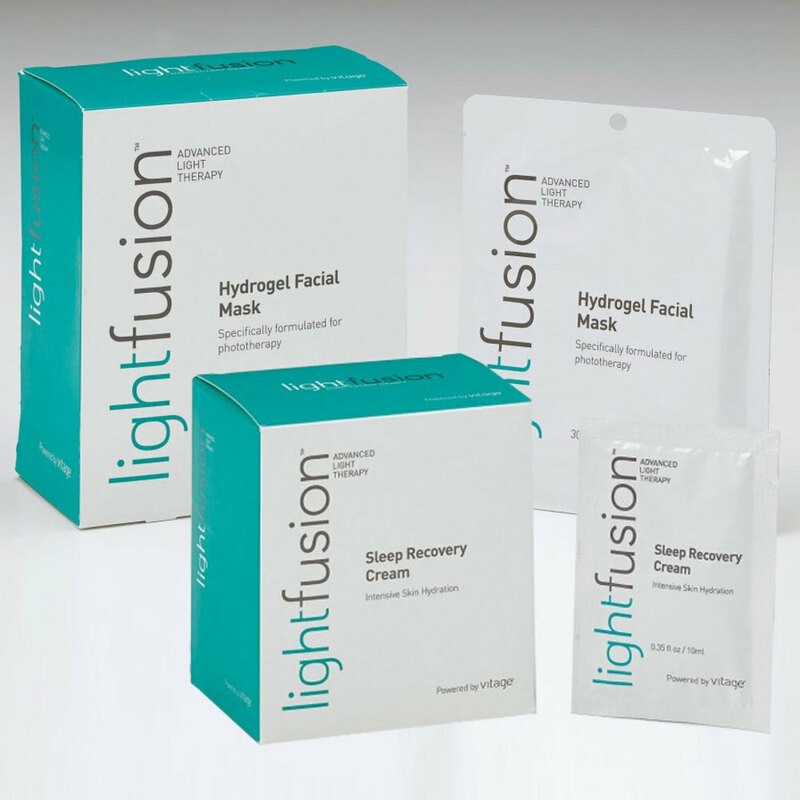 Pair an LED light treatment with this amazing targetted Cucumber Collagen Mask! The mask is great for ALL skin types and is great for sensitive skin. It's most commonly used after irritating procedures like extractions, waxing, clinical facials, peels, hair removal, and electrolysis. When paired with an LED light the results are proven to hydrate and renew the skin. It creates supple, healthy, firm skin that is simply radiating. Since the results are cumulative, this makes a great package deal! This has so many benefits! The Quasar is the “Super Star” of Photorejuvenation. Use as a stand-alone anti-aging treatment or use after a peel, microdermabrasion, or enzyme exfoliation. 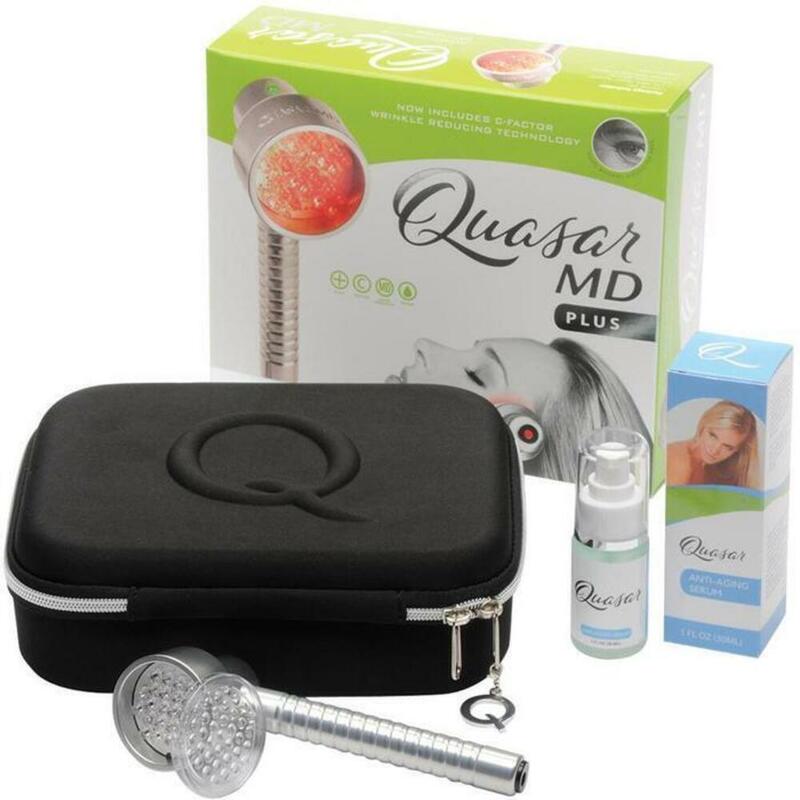 Unlike other treatments, such as microstimulation or topical products, the results achieved with the Quasar MD PLUS will endure, only requiring occasional maintenance treatments. Enhance Your Facials and Your Bottom Line! 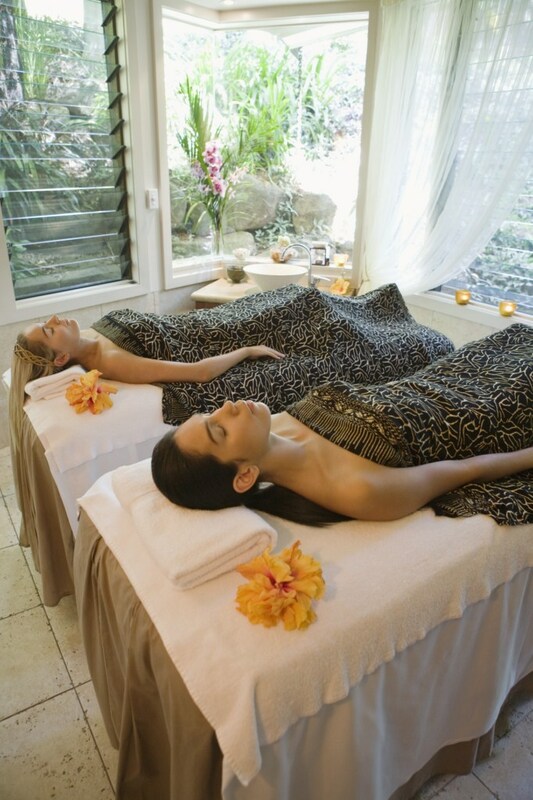 Are you looking to add enhancements to your facials, but money for new equipment is tight? Pure Spa Direct has a great option for you! The new Handheld 5-in-1 Facial Rejuvenation Beauty Device will allow you to amp up your facials, and after just a few facials, it will have paid for itself! What is this Handheld 5-in-1 Facial Rejuvenation Beauty Device, you ask? 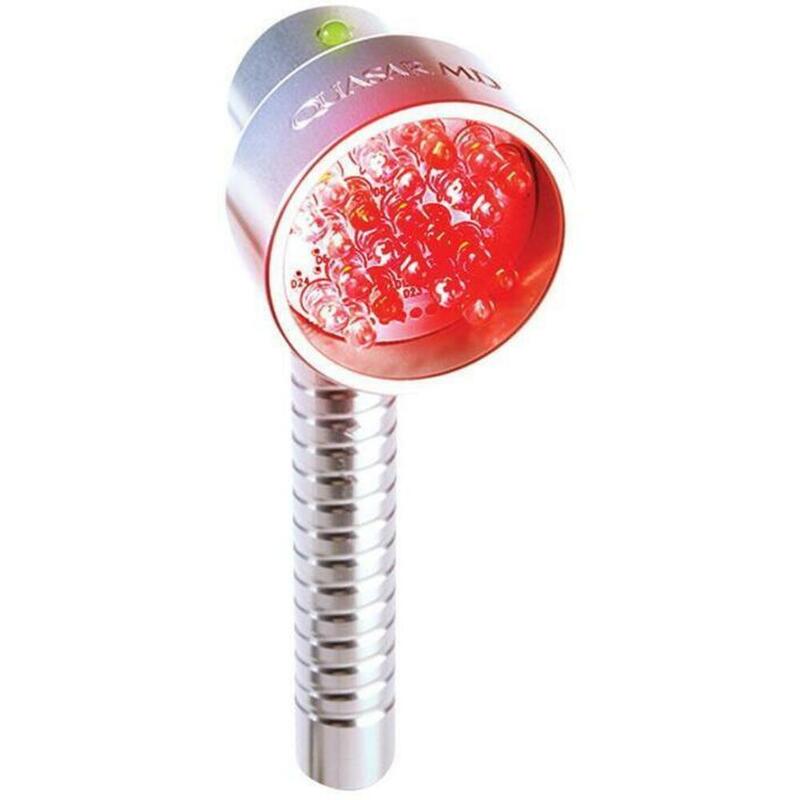 This device features 5 different modalities - RF (radio frequency), EMS (electrical massage stimulation), Methoporation, Electroporation, and LED Light Therapy with 7 different light options! 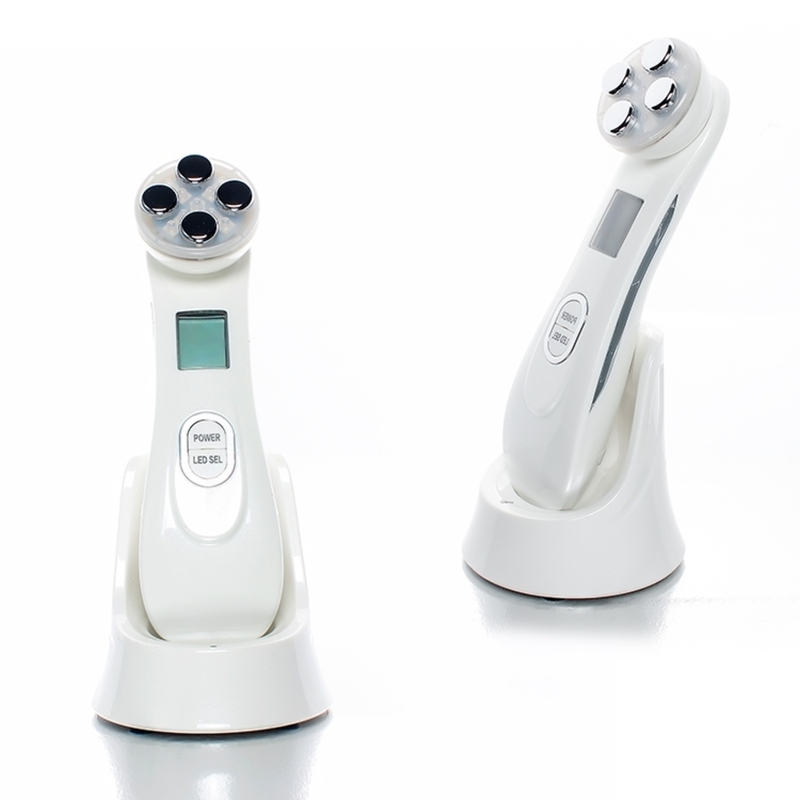 The modalities of this painless and safe 5-in-1 Beauty Device features a uniquely deep stimulating effect which can promote the regeneration of collagen, tighten skin and improve skin and skin color. For tightening and lifting by activating cells, stimulating recombination and regeneration of collagen. The EMS current stimulates the skin gently causing warmth and secondary muscular movement giving a tingling sensation to the skin. The device also stimulates the hypodermis to activate the cells and stimulate collagen production - shrinking and recombining as well as regenerating new collagen to make skin more firm, vigor and elastic; improve the appearance of wrinkles and fine lines; leaving the skin smoother, more elastic, vibrant and younger-looking. "Mesoporation" is a combination of mesotherapy and electroporation which is widely used as mesotherapy without a needle in Europe. It achieves a high level of penetration into the skin. It is reported that mesoporation can deliver 99% of the prepared formulation at the depth of 1mm and has a penetration degree is about 10 times that of conventional iontophoresis in a 1mm depth of skin and 27 times in 4mm and can have amazing effect for whitening and anti-aging depending on the products used. Electroporation is an Enhanced Product Diffusion method which augments product penetration deep into the skin without needles. The macromolecular components of anti-aging ingredients such as collagen and hyaluronic acid are generally too large to penetrate to the deep layers of the skin. However, with "Electroporation" you can achieve a high level of effectiveness without any pain. The premise behind RF is the electrical energy tends to follow the shortest distance between two electrodes (positive and negative). When electricity runs through living tissue, the high energy flow generates heat bringing blood circulation, lymphatic drainage and firming. The LED Light Therapy function of this device offers 6 different colored options to treat a wide range of skin care conditions. They include Red, Yellow, Blue, Pink, Flashing Pink, Mixed. NOTE: All of the above modalities must be used with a water-based skin care product. 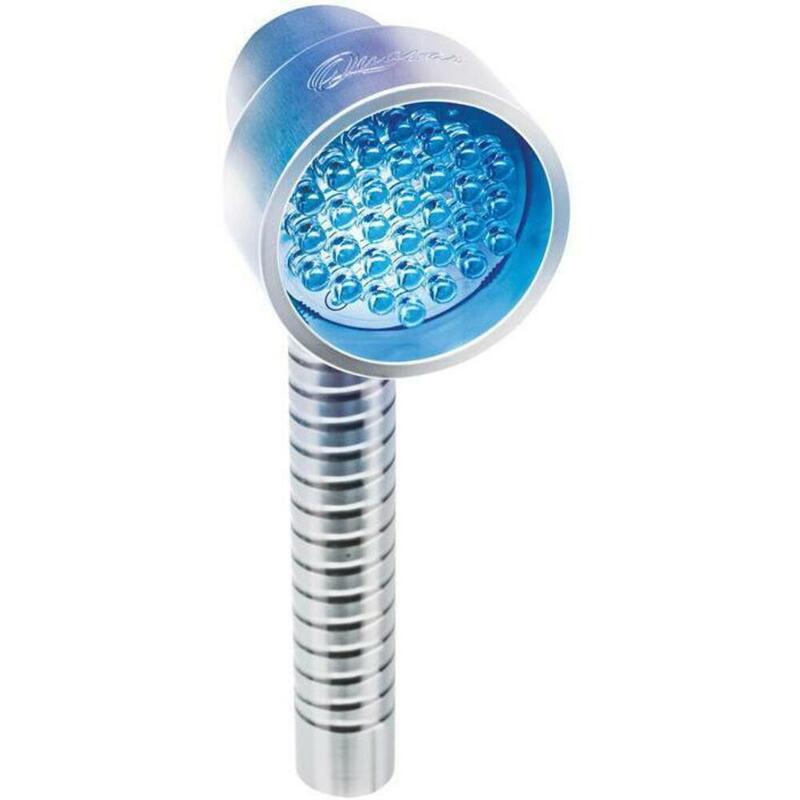 LED light treatment is a rising trend in the beauty industry. Why? It's completely pain-free, gentle, and is suitable for all skin types. 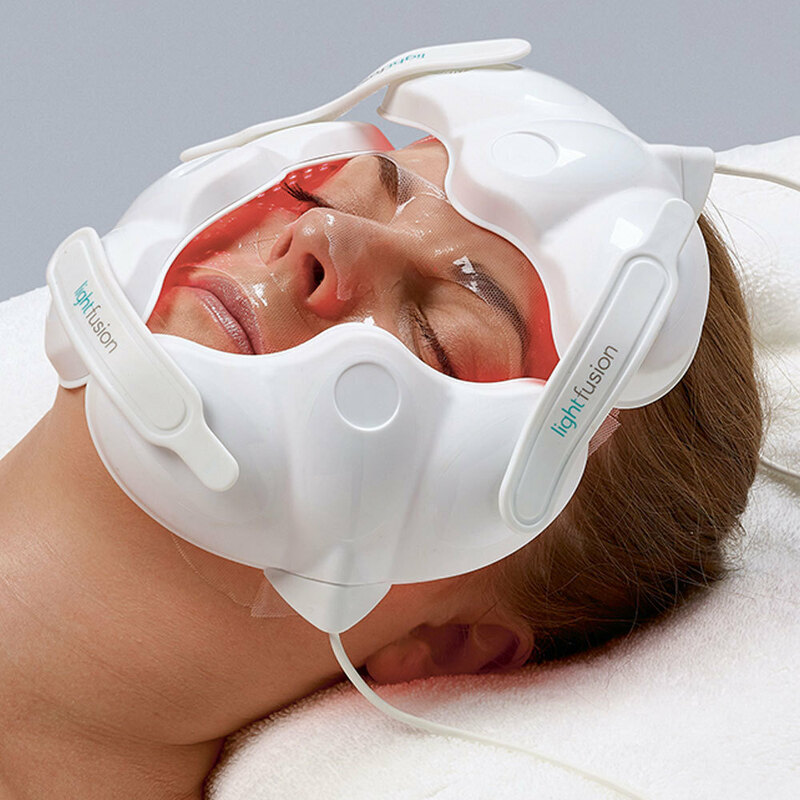 LED therapy is quickly becoming known in the cosmetic industry as one of the most effective and non-invasive ways to help rejuvenate and take the skin back to its natural state. Why is this the perfect add on service for your business? Most importantly, it gives REAL results. The results are immediate, but overall effectiveness is cumulative. Therefore with each service, you are making ongoing, happy clients!